i thought it might be interesting to see how many errors we can list, i spotted about three last night watching Points of Departure, but i'll only start us with one. 1. In Points of Departure, Sheridan states that when he destroyed The Black Star, he also took out three heavy cruisers, however in ItB we see he only destroys the Black Star. the reason only one error is there is that i was tired last night and it is the only one i can remember, however it is also implied that the ship wasn't smashed to buggery as we know it was from ItB. There was a saying on Minbar, anyone who wanted to get a straight answer out of Ranger One was to look at every reply in a mirror while hanging upside down from the ceiling. "when ejaculating, it is considered gentlemanly to avoid the eyes"
In "Endgame" when Franklin is viewing the medical logs Marcus pulled down, we see him discussing severe injuries sustained by Marcus. That would most likely be at the conclusion of "Grey 17 is Missing", which is the only time Marcus was ever seen to be hospitalized. At that time, however, Franklin had not yet resumed his duties following his "walkabout". Like I said, possible and likely... but not definitive. I like B5 because it has so few (probably fewer I bet than any other show of a comparable length). There's Thirdspace of course (the combination of characters / uniforms involved makes it hard to figure out where it's supposed to fit in S4). As originally broadcast, Franklin cites the date as January 8 in his opening monologue, and says it's been 14 days since Sheridan disappeared. In the second US broadcast of the episode Franklin's opening monologue was fixed to say it was 9 days since both Sheridan and Garibaldi disappeared. (See jms speaks) However, the UK broadcast, and possibly others, used the original incorrect date. we shouldn't include crusade due to the difficulties in it being made there a lot of issues with it. 2. The fact that Sheridan said he destroyed the Black Star at the asteroid belt between Earth and Mars. While this is never flat out proven wrong in the movie ItB....its pretty clear from context that at that time of the War, the Minbari are no where near Earth's Solar System. 3. In the first season...and its mentioned a couple times...Delenn and Lennier say there are TWO classes of Minbari: Religious and Warrior. In later seasons it became 3 classes of course, adding the Worker class. The Operative: "Do you know what your sin is?" Malcom Reynolds: "Aw hell, I'm a fan of all seven... but right now, I'm gonna have to go with Wrath." pertaining to number 2 i thought that too, but it is always possible they did, it was pointed out that the minbari were destroying earths military moving in, then going back to the frontier worlds to hit the civvies and presumably the gropos. as for number 3 i remember that being mentioned once, but i can't remember who said it or in what episode. You think there's a possibility those remarks were just classist, and Delenn hadn't grown enough as a "person" yet to consider the Worker class as equals? If not, then I guess the worker class had to be added to make room for Sheridan in "the One" and the Holy 3s of Minbari society. Nah I don't buy it. 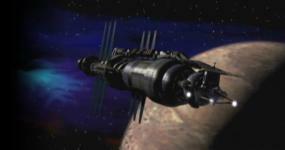 Because Sheridan destroys the Black Star, then he goes on that mission to whever to meet Lenon. Then when Lenon gets killed, Londo says the war continues for TWO YEARS. Sorry, but I don't think it would have taken the Minbari 2 years to get from the Asteroid belt in our solar system to Earth. I think they should have left the "Asteroid belt between Jupiter and Mars" out of the dialogue and just had it been any old asteroid belt and it would have been fine. But in my books, thats a continuity error. I think it was mentioned in a couple episodes. Legacies is probably the first one. I think its mentioned a couple times there. But I'm pretty sure Lennier says something about the TWO castes of Minbari in Points of Departure too. The times where its said, its really stressed, then like a season later, there is that third caste. That is every fan's favorite explanation, and it's about the best you are going to get. I mean, isn't it obvious that JMS just changed his mind? It's not a high crime, you know. But I've yet to hear of a JMS quote saying "yes, that was a brilliant way of illustrating how the worker class was treated". Personally, I just don't buy it. I do think his way of doing things in the end was probably a lot better for the story's sake. And I'd hate to condemn a guy who really brought the idea of continuity to a whole new level in television science fiction. So I say, give him a break. I think that's possible, and also I think in all the cases where that's said Delenn and Lennier are trying to explain how Minbari society works to outsiders. Although there are technically three castes, it's pretty clear that only two of them count when it comes to politics. The Minbari civil war, when it comes, is a two-sided conflict between the Religious and Warrior castes. I sympathise because I do exactly the same thing when I'm trying to explain English politics to my foreign friends. In reality there are three mainstream political parties, but only two of them really count in practice, so I tend to simplify and describe it as a two-party system, even though technically there is a sizable third party that would hold the balance of power in a hung parliament. It's much easier to present it as a battle of two opposing idealogies. Since that's all pretty OT I'll throw in another continuity gaffe. Discounting the obvious changes after the Gathering, the EA uniform redesign between S1 and S2 (red trim and flight wings) creates a possible continuity error when these feature in In the Beginning.